Netflix is still growing despite widespread adoption. The company is expected to grow its earnings by $1 billion this year, according to Morgan Stanley analyst Ben Swinburne. 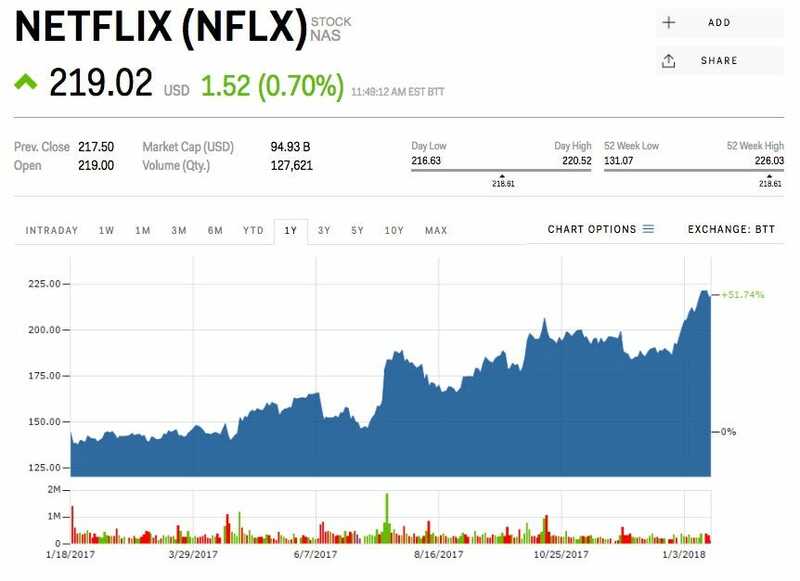 Watch Netflix trade in real time on Markets Insider. Netflix is now a household name, recognized across the entire US. And that’s probably because more than half of the nation’s broadband households have access to a subscription. With such a high household penetration rate, you’d think Netflix’s growth would start to slow. But according to Ben Swinburne, an analyst at Morgan Stanley, the company’s subscription numbers and profitability will continue to skyrocket.